wyRiwyg : Who’s your audience? wyRiwyg > Blog > Who’s your audience? 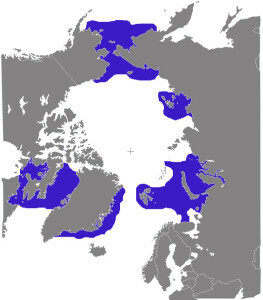 This map from Wikipedia purportedly showing the range of walruses is visual nonsense to anyone unfamiliar with that part of the Arctic. Reminds me both of a visual puzzle by Escher and a lot of Web writing by folks who forget that they’re not talking to themselves in their own small mental corner of the world.